Background: When developing social infrastructures, people look towards urban planning to promote a comfortable and healthy daily life. Urbanization is hypothesised to lead to various mental disorders. Further, urban upbringing and city living are reported to have dissociable effects on social evaluative stress processing. This necessitates the evaluation of the medical impact of the appearance of cityscapes. However, the neural processes for cityscape perception are still unknown. Methods and Findings: Using functional magnetic resonance imaging (fMRI), we show that two kinds of landscape pictures, Japanese traditional architecture/ nature images (JTANs) and modern cityscapes (MCs), have distinct effects on human brain activation. While participants viewed pictures of the above-mentioned landscapes, their brain activity was more prominent in the dorsal than the ventral visual pathway, and activation in the right precuneus was evident during the viewing of the JTAN pictures. Moreover, the cerebellum and hippocampus were activated during the viewing of unpleasant MC pictures. Conclusion: Our results suggest that the dorsal pathway and the right precuneus play important roles in scenery evaluation, while the ventral pathway and the left lingual gyrus are involved in unpleasant emotion generation. In recent years, worldwide changes in socioeconomic structure and the diversification of overall values has highlighted the importance of quality of life, which includes health and happiness . Urban planning is an example of this social phenomenon [1-3]. Several reports suggest that urban living increases the incidence of mental disorders among people who are born and brought up in cities [4-8]. These reports also recommend improvements in city planning leading to the creation of comfortable and stress-free environments within cities . In order to establish these environments, it is important to ascertain what features people most respond to and most enjoy by assessing their perceptions of various pictured scenes. Most studies on psychological or neural responses during scenery perception in humans have used semantic differential methods (SD methods) . Currently, Lederbogen et al. are planning a large-scale project for scene evaluation using functional magnetic resonance imaging (fMRI). For landscape evaluation, however, only a few studies have reported for monitoring brain areas related to pleasant or unpleasant emotional changes and cognitive processes [11,12]. Kim et al. reported that activation of the anterior cingulate and basal ganglia was dominant during rural scenery viewing whereas activation of the hippocampus, parahippocampus and amygdala was dominant during urban scenery viewing. Recently, Kim and Jeong  reported that comfortable residential environmental scenery significantly activated the calcarine gyrus selectively whereas uncomfortable scenery induced the ventrolateral prefrontal cortex and anterior cingulate cortex as well as the medial prefrontal cortex, hippocampus, parahippocampus, amygdala and isula. In their studies, relatively long task-duration (120 seconds) of rural and urban pictures sets  or comfortable and uncomfortable residential sceneries sets  from the World Wide Web were used. However, Hoshi et al. recently suggested that a long task-duration with affective visual stimuli elicits complex emotion-cognition circulation, where derivative cognitive activities can alter the primarily induced emotion. Further, they suggested that “it is not feasible to distinguish changes in rCBF related to a primarily induced emotion from those related to derivative cognitive activities and/or secondarily induced emotions in neuroimaging studies using a conventional block design” . Moreover, the emotional and cognitive processes involved in the evaluations of landscapes may differ in individuals depending on various factors, such as personal experiences, age group, and cultural instruction and education. In the present study, by using fMRI we studied the neural responses of healthy volunteers, whose age, education, culture levels and nationality were similar, during the viewing of the landscape pictures. To avoid the overlap of neural activity related to cognitive activity on those related to emotion, we used the pseudo-random presentation of pleasant, neutral or unpleasant scenery pictures with short period (12 seconds). The individual neural activation levels were compared to their emotional valences obtained by questionnaire. Based on the results, we discuss the relationship between the emotional and cognitive processes used to recognise urban landscapes scenes. This study was approved by the Kyoto University Graduate School and the faculty of the medical ethics committee and adhered to the tenets of the Declaration of Helsinki. All subjects provided written informed consent prior to participating. Total 31 subjects precipitated in this research. Eleven healthy right-handed volunteers participated in the fMRI study (N=11; 5 men and 6 women; mean age ± standard deviation [s.d. ]=23.4 ± 1.2 years). The subjects were selected to have similar ages, and education and culture levels as much as possible (all of them were Graduate School Students of Kyoto University and Japanese). To ensure appropriate stimulus selection, the emotional valences of the JTAN and MC scene images were previously rated by 20 different healthy volunteers who did not participate in the fMRI study. These subjects included 10 male adult graduate students from Kyoto University (mean age ± s.d.=41.0 ± 4.5 years) and 10 young students from Kyoto University (mean age ± s.d.=23.1 ± 1.8 years; 8 men and 2 women). All of the photographs used in this experiment were taken by a member in our group (Supplemental Information) from many prefectures in Japan. A total of 41 scene images were classified into different categories by questionnaire prior to the experiment. The emotional valence of each was rated in a separate experiment on an 11-point digital scale from +5 (pleasant) to -5 (unpleasant), with 0 indicating a neutral valence. Based on this questionnaire, we selected 21 scene images for use in this study. Seven pleasant (ratings above +3.0 in both groups) and 7 unpleasant (ratings below -3.0 in both groups) scene images were first selected. Another set of 7 town images (ratings with a wide variation around 0) were added as neutral image stimuli (Supplemental Information). The images were presented when subjects were supine in the fMRI scanner. We used a block design in all experiments. In all experiments, the task condition (12 seconds) was repeated 21 times following a prior baseline resting condition (15 seconds). Thus, each session lasted 9 minutes and 51 seconds. This included a prior dummy scan period (12 seconds) and post-scan rest time (12 seconds). During the functional neuroimaging, the images were displayed on a screen (horizontal and vertical visual angles were 13° and 10°, respectively). A 1.5-T MRI scanner (Symphony Sonata, Siemens, Germany) was used to obtain blood oxygenation level-dependent (BOLD) contrast functional images and anatomical images. BOLD functional images were obtained using a T2*-weighted single shot echo-planar imaging (EPI) sequence (repetition time [TR], 3,000 ms; echo time [TE], 40 ms; flip angle [FA], 90°; field of view [FoV], 200 × 200 mm2; matrix size, 64 × 64). Forty axial slices were obtained (thickness of slice, 3 mm; slice gap, 0 mm; Voxel size, 3.13 × 3.13 × 3.00 mm3). Anatomical images of brain structures were obtained using a T1-weighted sequence (TR, 2200 ms; TE, 5.55 ms; FA, 15°; FoV, 208 × 256 mm2; matrix size, 208 × 256). Image preprocessing and analysis were performed using Statistical Parametric Mapping software SPM8 (Welcome Department of Imaging Neuroscience, London, UK) running under MATLAB R2007b (MathWorks Inc., Sherborn, MA). The first 4 scans were discarded from the analysis to minimize T1 relaxation artefacts, and the remaining volumes in each session were used for analyses. The EPI images were realigned to the first image, and then co-registered with theEPI (functional) and T1-weighted structural images. Next, the DARTEL toolbox was used to create structural templates across subjects as well as individual flow fields, which were used for spatial normalization . Data were smoothed using an 8 mm full-width at half-maximum (FWHM) isotropic Gaussian kernel. Trials under each of the 3 conditions (pleasant, neutral, and unpleasant) were separately convolved with the canonical hemodynamic response function using a general linear model. A one-lag auto-regression (AR (1)) model was used to correct for serial autocorrelations. The time series was filtered using a discrete cosine-transform filter with a 128-second cut-off period. All contrast images used a threshold of p < 0.001 (uncorrected) at the voxel level and p < 0.05 corrected for multiple comparisons at the cluster level. To define overlapping areas between activated areas (especially the visual cortex and the frontal and parietal eye fields) and anatomical structures, the MarsBar toolbox (http:// marsbar.sourceforge.net/) was used. Thereafter, the Montreal Neurological Institute (MNI) coordinates were used along with the parcellation method and automated anatomical labelling software to exactly allocate the activated clusters to the appropriate anatomical sites . Multiple linear regression analysis with on/off block design task model was used to calculate the parameter estimates, and Pearson’s correlation coefficient was used to measure the statistical relationship between the parameter estimates and the subjective ratings. It has been reported that somesthetic and social information have important roles in perception as well as visual information obtained during the viewing of the environment (or a landscape) . Therefore, in the present study the subjects’ ages and education and culture levels were controlled as capable as possible (Table 1). Further, all of landscape photographs used in this experiment were taken by our members in many prefectures in Japan. To avoid the overlap of neural activity related to cognitive activity on those related to emotion, it was also necessary to shorten the experiment duration for each of the subjects, as fatigue and/or anticipation-related brain activation was concern. Actually, in the preliminary experiments, several subjects claimed that they became sleepy when the experiment duration exceeded 20 minutes. Therefore, we set the experiment time per session to about 10 minutes per person so that the subjects did not feel fatigue and drowsiness. M and F denote male and female, respectively, where numeric denotes number of subjects. Table 1: Demography of patients (LED: Levodopa Equivalent Dose). After the fMRI experiments (Figure 1), the subjects rated their emotional valences for all pictures on an 11-point scale ranging from +5 (pleasant) to -5 (unpleasant), with 0 indicating neutral valence. We used this information to correlate neural responses to psychological measures. Mean values and s.d. of the emotional valences of the Japanese scene pictures were 2.37+0.31, 0.60+1.06, and -1.85+0.73 for pleasant, neutral, and unpleasant images, respectively. This result indicates that the classification of the landscape pictures used in the experiments was reasonable to elicit the landscape induced pleasant-, unpleasant- and neutral-emotion related neural activation. Figure 1: Example of experimental images. The first unpleasant photograph was taken by J.M. in an urban area in Osaka Prefecture. The second (neutral) photograph was taken by A.Y. in a Bay Road area in Osaka. The third (unpleasant) photograph was taken by K.Y. at Shibuya Station in Tokyo, and the fourth (pleasant) photograph was taken by K.Y. at Ohmi-Hachiman in Shiga Prefecture. Figure 2 shows neural activation during viewing landscape pictures. The ventral pathway reaches the temporal association area through the prestriate cortex (V2) and the ventral-stream area (V4) and is colloquially called the ‘what pathway’. The dorsal pathway reaches the parietal association area through V2 and V3 and is called the ‘where pathway’ . Figure 2: Neural activation during landscape scene picture viewing. Image contrasts were obtained by subtracting the measurements obtained during the rest conditions from those obtained during the picture-viewing conditions: (A) Pleasant; (B) Unpleasant; (C) Neutral; (D) Cerebellum activation during the unpleasant viewing condition. Brain activation related to the Ã¢ÂÂunpleasantÃ¢ÂÂ valence was localized to the cerebellum. T maps at x=8, y=-50, z=-36 (t=7.58, cluster size: 278), and x=-28, y=-72, z=-46 (t=8.87, cluster size: 91). Significant values were those with p < 0.001 (uncorrected at the voxel level) and p < 0.05 (corrected for multiple comparisons at the cluster level). During viewing the pleasant picture, brain activation was more prominent in the dorsal pathway (the superior parietal lobule and medial occipital gyrus) than in the ventral pathway (the inferior temporal and inferior frontal gyri) (Figure 2A), whereas activation of the ventral pathway was prominent during viewing unpleasant pictures (Figures 2B and 2C). Since all of landscape pictures involve both structural and colour information, landscape pictures that cause pleasant emotion may be perceived as a spatial cluster, while those cause unpleasant emotion may be perceived partially or objectively. Our findings suggest that spatial and depth information are weighed more heavily than colour and shape information when Japanese participants evaluate the pleasant landscape scenery. In the present study as compared to the previous reports [11,12], we observed the cerebellar activation during viewing all of the landscape pictures (Table 2). 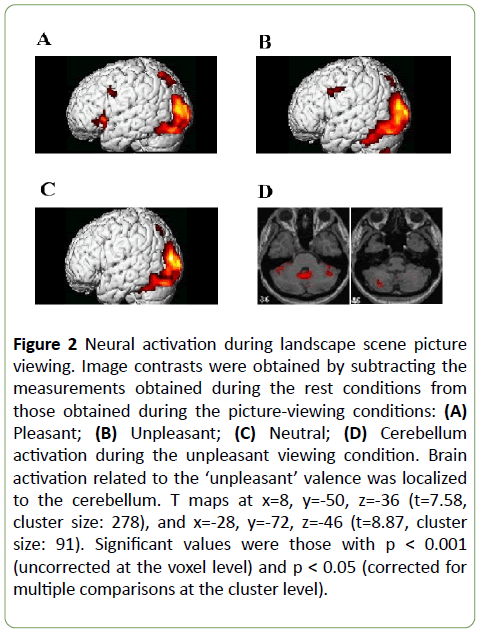 The cerebellar activation during viewing unpleasant landscape pictures (Figure 2D, right: t=7.58; left: t=8.87) was stronger than those during viewing neutral or pleasant pictures. Furthermore, brain activation related to ‘unpleasant’ valences was observed in the hippocampus (left: t=9.20) as well as the cerebellum. The cerebellum plays a well-known role in motor activity and is involved in motor learning. Recent studies have suggested that the role of the cerebellum may not be limited to motor performance, but that it may also include mental aspects [18-23]. Table 2: Neural activation during the viewing of pleasant/unpleasant landscape pictures (vs neutral pictures). Thus, it can be inferred that the cerebellum is active during both the performance and imagery of work. These results may indicate that the activation in the cerebellum contributes to the ability to place oneself into scenes and imagine living under the conditions present therein. Our subjects had an urban upbringing, and the unpleasant images in this experiment were familiar sights for them. Therefore, the activation in the hippocampus, which is a part of Papez’s memory circuit , was likely related to thoughts of daily living. These findings support the inference that the cerebellum is involved in the both cognitive aspects of action. Table 2 shows neural activation during the viewing of landscapes pictures. The results were obtained by subtraction of neural activation images viewing pictures and those of viewing cross fixation point (i.e., pleasant – rest, neutral – rest, and unpleasant – rest). The activation areas in Table 2 include visual processing area and both cognitive and emotional processes areas during viewing scenery pictures . Specific activation areas for the ‘pleasant – neutral’ and ‘unpleasant – neutral’ contrast images of during viewing urban landscape pictures are shown in Table 2, where activations of the occipital gyrus and precuneus was induced during viewing pleasant landscape pictures, and the fusiform gyrus and lingual gyrus during viewing unpleasant landscape pictures. Both scene agnosia and prosopagnosia are reportedly involved in the functional disturbance of the right occipitotemporal lobe, the right hippocampus, and the lingual gyrus . Takahashi and Kawamura  performed MRI study on the landmark agnosia patients and reported that the parahippocampal gyrus is critical for the acquisition of novel information about buildings and landscapes, and that the same region plus the anterior half of the lingual gyrus and the adjacent fusiform gyrus play an important role in the identification of familiar buildings and landscapes. Recently, Kim et al. reported that under input of negative stimuli during viewing urban pictures the lingual gyrus and middle and inferior occipital cortex showed activation as well as the hippocampus and parahipocampus gyrus. These results suggest that the lingual gyrus plays a significant role in unpleasant emotion generation in response to urban landscape pictures. It should be noted that in spite of differences in task presentation and its duration, neural activation areas during viewing pleasant urban landscape pictures and those during viewing neutral and unpleasant pictures were similar to those reported by Kim et al. and Kim and Jeong . This result is possibly caused by the methodological limitation of the block design experiments. In the process of performing cognitive judgment, towards a set target with selective attention to visual information and selecting and executing appropriate actions, interference by emotion usually is considered not to be included . Therefore, to avoid the overlap of neural activity related to cognitive activity on those related to emotion, further experiments with event-related design  or high temporal analyses with fMRI  may be required to detect early changes in rCBF more specifically related to the primarily induced emotion. Nevertheless, we obtained the following a new result. According to the results of the questionnaire, the 21 landscape pictures were further classified as 7 Japanese traditional architecture/nature pictures (JTANs, pleasant) and 14 modern city pictures (MCs, neutral and unpleasant). In our second classification, JTAN-related brain activation (compared to that in response to the MC) was most prominent in the right precuneus (t=7.40, Figure 3A). 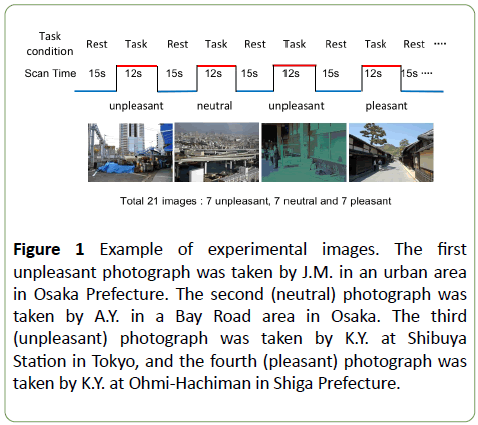 Figure 3: Relationship between the subjective evaluation of Japanese traditional architecture/nature (JTAN) pictures and precuneus activation. (A) t map at x=10, y=-64, z=62 (t=7.396, cluster size: 107). Subtraction images of neural activation during JTAN and modern city (MC) picture viewing are shown (p < 0.001, uncorrected at the voxel level; p < 0.05, corrected for multiple comparisons at the cluster level); (B) Scatterplot of pleasantness scores and mean parameter estimates for the significantly correlated voxels within the precuneus, as shown in (A). Multiple linear regression analysis with on/off block design task model was used to calculate the parameter estimates, and PearsonÃ¢ÂÂs correlation coefficient was used to measure the statistical relationship between the parameter estimates and the subjective ratings. The results indicate a highly correlated linear relationship (r=-0.823, p=0.00185). Since the JTAN pictures were visually dense, activation in the precuneus may have been affected by the recognition of visuo-spatial structures during the picture viewing . To clarify this hypothesis and the role of the right precuneus in the subjective judgements of the pictures (i.e., pleasant, neutral, or unpleasant), we compared each subject’s right precuneus parameter estimates to the JTAN picture questionnaire evaluation ratings and obtained a negative correlation (R=-0.823) (Figure 3B). This suggests that the right precuneus is activated as the subject sets objective criteria for the evaluation of the JTAN pictures. These results suggest that the right precuneus does not manage likes and dislikes, but instead is involved in objectively judging culture-depending natural scenes or structures. Our results suggest that the dorsal pathway and the precuneus play important roles in scenery evaluation, and that the ventral pathway and the left lingual gyrus play roles in unpleasant emotion generation. fMRI is a powerful tool to understand relationship between urban living and mental stress on the basis of emotional and cognitive neural processes. This work was financially supported in part by Grants-In-Aid for Scientific Research from the Japan Society and the Kyoto University Research Development Program. We would like to thank Editage (www.editage.jp) for English language editing. K.O. 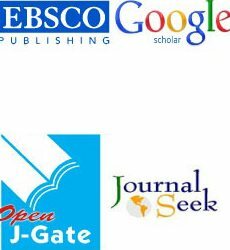 designed and performed the experiments, analysed data, and wrote the paper; K.Y., A.Y., and J.M. took pictures of the landscapes, selected and designed the experiments, administered the questionnaires, discussed results, and reviewed the manuscript; R.N. performed the fMRI measurements and reviewed the manuscript; A.S. obtained funding, designed the study and experiments, and wrote the paper. Velarde MD, Fry G, Tveit M (2007) Health effects of viewing landscapes: Landscape types in environmental psychology. Urban For Urban Gree 6: 199-212. LuginbÃÂ¼hl Y (2002) Landscape identification and assessment and landscape quality objectives. Naturopa 98: 17. Seguin JF (2002) Landscapes, the surroundings in which Europeans live. Naturopa 98: 16. Pedersen CB, Mortensen PB (2001) Evidence of a dose-response relationship between urbanicity during upbringing and schizophrenia risk. Arch. Gen. Psychiatry 58: 1039-1046. Boydell J, Van Os J, Lambri M, Castle D, Allardyce J, et al. (2003) Incidence of schizophrenia in south-east London between 1965 and 1997. Brit. J Psychiatry 182: 45-49. Krabbendam L, Van Os J (2005) Schizophrenia and urbanicity: A major environmental influenceÃ¢ÂÂconditional on genetic risk. Schizophr Bull 31: 795-799. Peen J, Schoevers RA, Beekman AT, Dekker J (2010) The current status of urban-rural differences in psychiatric disorders. Acta Psychiatr Scand 121: 84-93.
van Os J, Kenis G, Rutten BP (2010) The environment and schizophrenia. Nature 468: 203-212. Lederbogen F, Kirsch P, Haddad L, Streit F, Tost H, et al. (2011) City living and urban upbringing affect neural social stress processing in humans. Nature 474: 498-501. Daniel TC, Boster RS (1976) Measuring landscape esthetics: The scenic beauty estimation method. USDA Forest Serv. Res Paper RM-167: 1-66. Kim TH, Jeong GW, Baek HS, Kim GW, Sundaram T, et al. (2010) Human brain activation in response to visual stimulation with rural and urban scenery pictures: A functional magnetic resonance imaging study. Sci Total Environ 408: 2600-2607. Kim GW, Jeong GW (2014) Brain activation patterns associated with the human comfortability of residential environments: 3.0-T functional MRI. Neuroreport 25: 915-920. Hoshi Y, Huang J, Kohri S, Iguchi Y, Naya M, et al. (2011) Recognition of human emotions from cerebral blood flow changes in the frontal region: A study with event-related near-infrared spectroscopy. 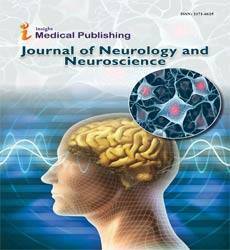 J Neuroimaging 21(2): e94-101. Ashburner J (2007) A fast diffeomorphic image registration algorithm. NeuroImage 38: 95-113. Tzourio-Mazoyer N, Landeau B, Papathanassiou D, Crivello F, Etard O, et al. (2002) Automated anatomical labeling of activations in SPM using a macroscopic anatomical parcellation of the MNI MRI single-subject brain. NeuroImage 15: 273-289. Gibson JJ (2014) The Ecological Approach to Visual Perception: Classic Edition (Psychology Press & Routledge Classic Editions). Goodale MA, Milner AD (1992) Separate visual pathways for perception and action. Trends Neurosci 15: 20-25. Clark RE, Zhang AA, Lavond DG (1992) Reversible lesions of the cerebellar interpositus nucleus during acquisition and retention of a classically conditioned behavior. Behav Neurosci 106: 879-888. Krupa DJ, Thompson RF (1997) Reversible inactivation of the cerebellar interpositus nucleus completely prevents acquisition of the classically conditioned eye-blink response. Learn Mem 3: 545-556. Middleton FA, Strick PL (1998) The cerebellum: An overview. Trends Cogn Sci 2: 305-306. Park JS, Onodera T, Nishimura S, Thompson RF, Itohara S (2006) Molecular evidence for two-stage learning and partial laterality in eyeblink conditioning of mice. Proc Natl Acad Sci USA 103: 5549-5554. Kalmbach BE, Ohyama T, Kreider JC, Riusech F, Mauk MD (2009) Interactions between prefrontal cortex and cerebellum revealed by trace eyelid conditioning. Learn Mem 16: 86-95. Pakaprot N, Kim S, Thompson RF (2009) The role of the cerebellar interpositus nucleus in short and long term memory for trace eyeblink conditioning. Behav Neurosci 123: 54-61. Papez JW (1937) A proposed mechanism of emotion. Arch Neurol Psychiatry 38: 725-743. Kawamura M (2001) Face of street and face of person. Higher Brain Function Res 21: 128-132. Takahashi N, Kawamura M (2002) Pure topographical disorientation: the anatomical basis of landmark agnosia. Cortex 38: 717-725. Shafritz KM, Collins SH, Blumberg HP (2006) The interaction of emotional and cognitive neural systems in emotionally guided response inhibition. NeuroImage 31: 468-475. Kohno S, Noriuchi M, Iguchi Y, Kikuchi Y, Hoshi Y (2015) Emotional discrimination during viewing unpleasant pictures: timing in human anterior ventrolateral prefrontal cortex and amygdala. Front Hum Neurosci 9: 51. Cavanna AE, Trimble MR (2006) The precuneus: A review of its functional anatomy and behavioral correlates. Brain 129: 564-583.